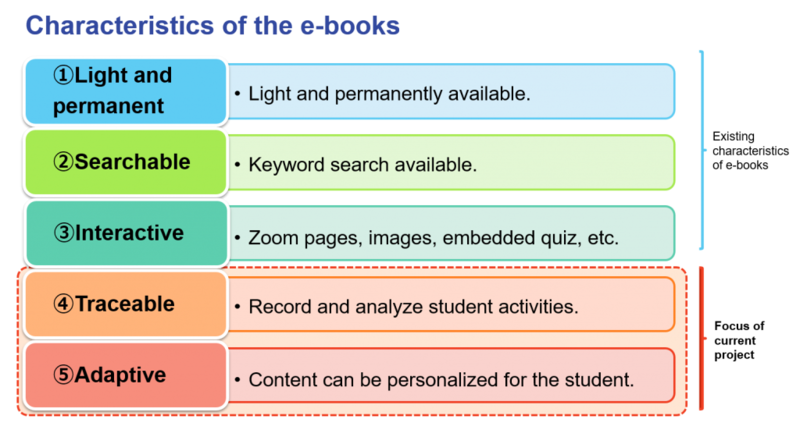 so little consideration is given to collecting learning behavior of students from e-books and making Useful For Improving Them The Learning Experience. In This Project, We Will Promote ‘Educational Data Science’ Which Improves Education By Gathering Data In School Education And Quantitatively Analyzing It. Our research focus is to achieve the following three objectives concerning “educational big data”, “cloud information infrastructure”, and “educational data science”. 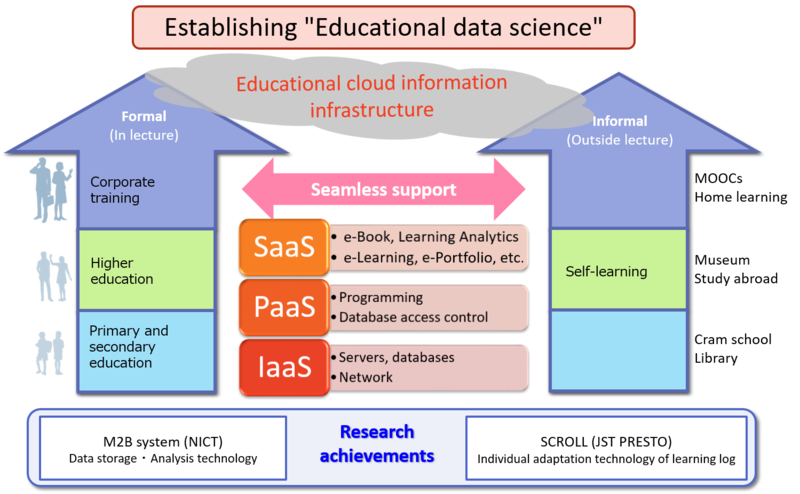 Building educational big data with accumulated lifelong learning logs from both formal (within lecture) and informal (outside classroom) learning using various e-learning technology such as digital textbooks. Creating an educational cloud information infrastructure with the learning logs to that supports education and learning. 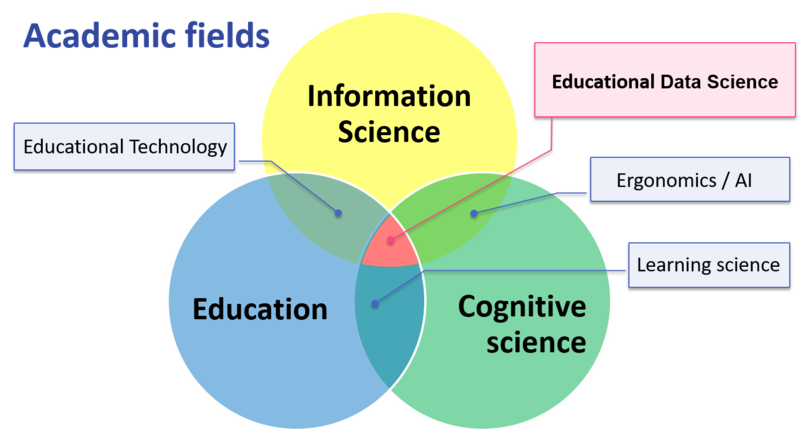 Creating the field of research in “Educational Data Science”, to investigate “learning” in the digital age, and designing a new learning environment. such as school education and informal learning, and accumulation and education of educational big data It can seamlessly support utilization. Providing tools such as digital textbooks, e-learning and data analysis in formal learning such as school education and informal learning, and accumulation and education of educational big data It can seamlessly support utilization. In order to achieve the purpose, it is necessary to clarify each of the following elemental issues listed below. In this project, researchers from different fields of expertise cooperate in solving the problem in order to tackle six elemental subjects with different properties. “Educational data science” which is an interdisciplinary field spanning various fields . 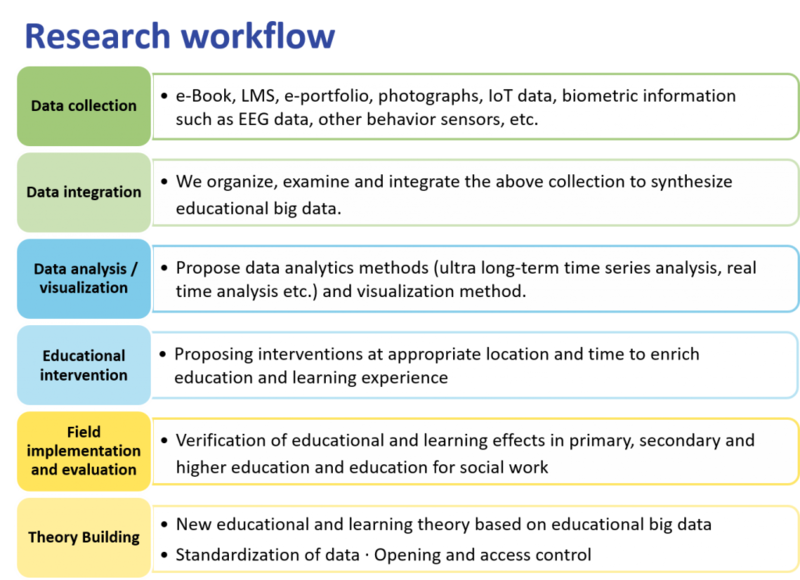 In the academic field of educational data science, we will discover ways to improve education and learning by collecting and analyzing educational big data. Radically changing the educational landscape by creating cloud infrastructure and educational data science to support the 2020 digital text books!